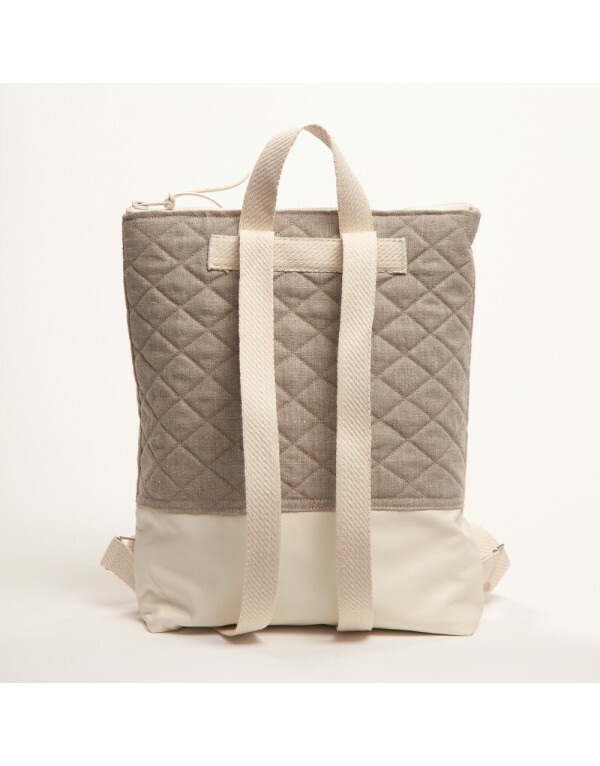 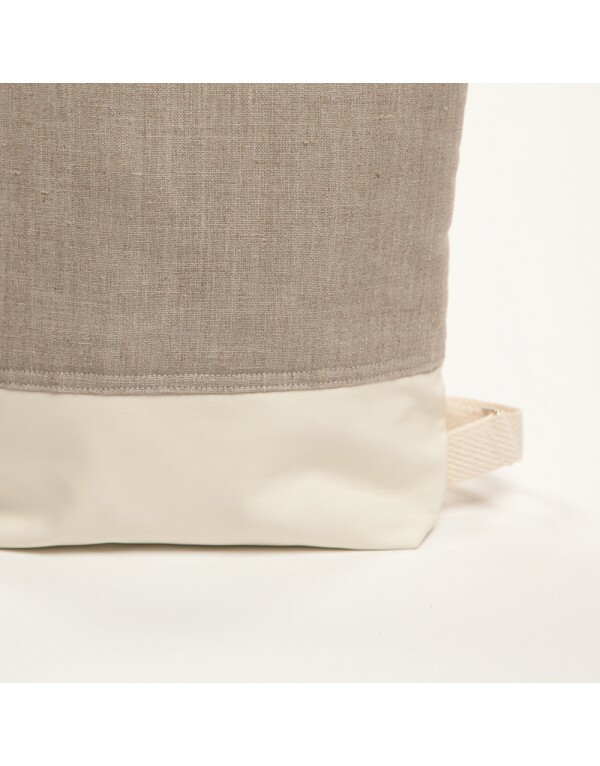 Ecobag in rustic linen combined with cream synthetic leather. 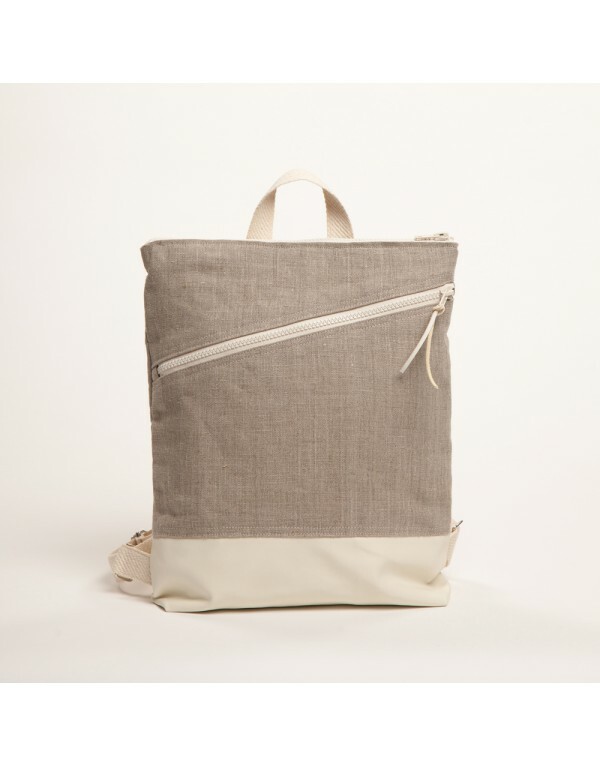 A complement of timeless minimalist design ideal for summer days. 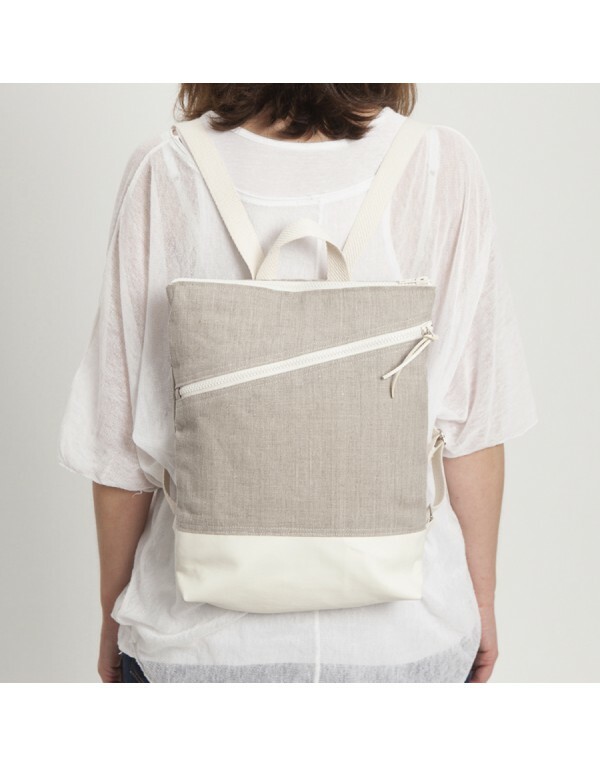 Medium and stylish backpack with enough capacity to carry your essential objects of the day to day. 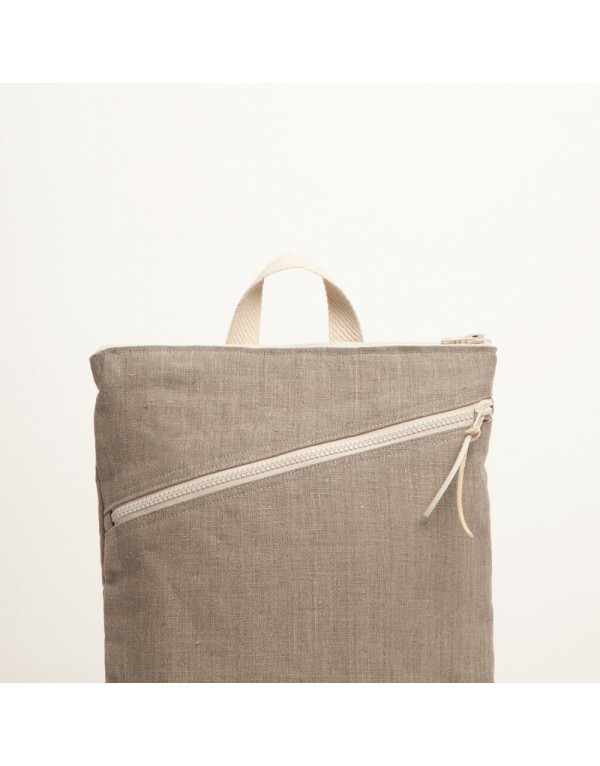 Hand made, with the back completely padded to keep it rigid, with wide cotton handles (2.5cm) that fit perfectly to the shoulders and can be adjusted. 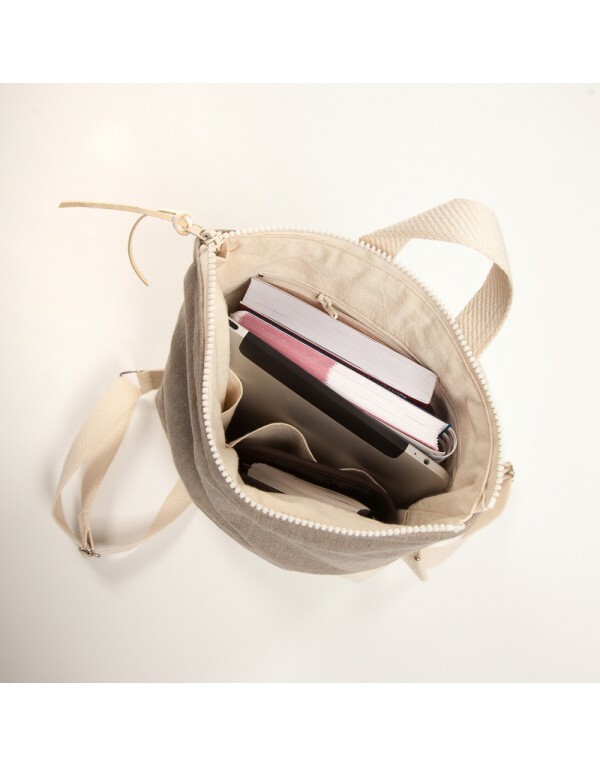 With a large front pocket very practical so that you have at hand the keys, the mobile phone, your sunglasses ... Top zip closure. 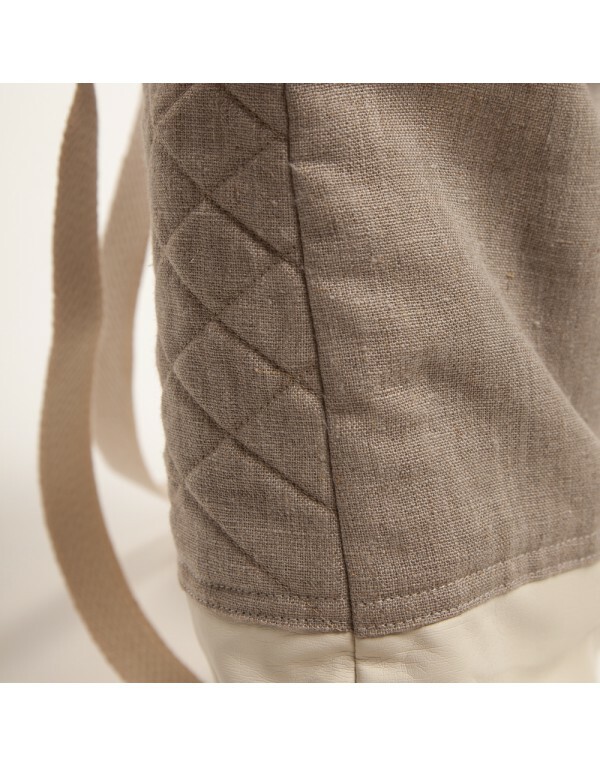 Synthetic leather on the bass in cream color soft, flexible and very pleasant to the touch. 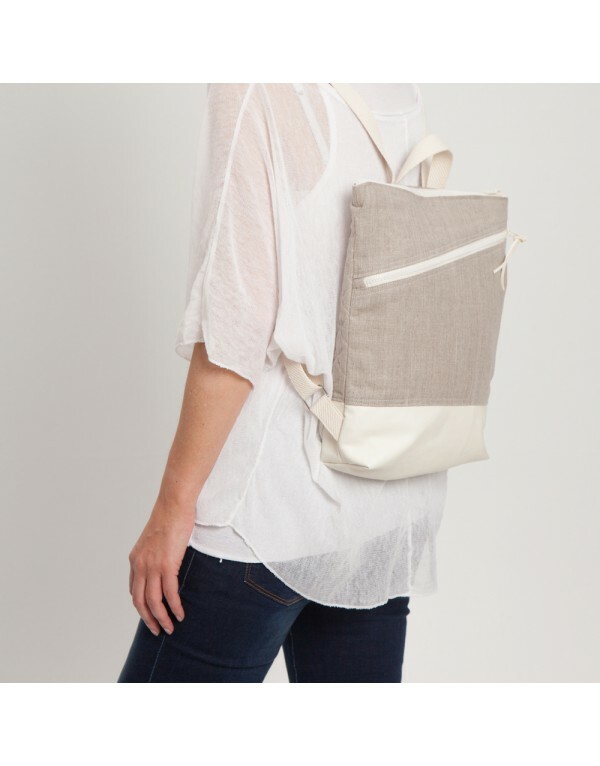 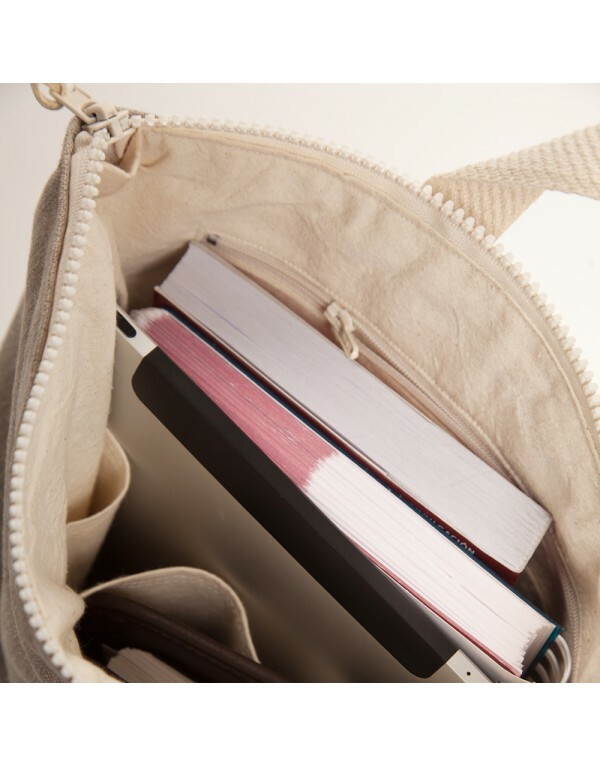 Lined with cotton fabric, with two pockets on one side and another zipped pocket on the other side. 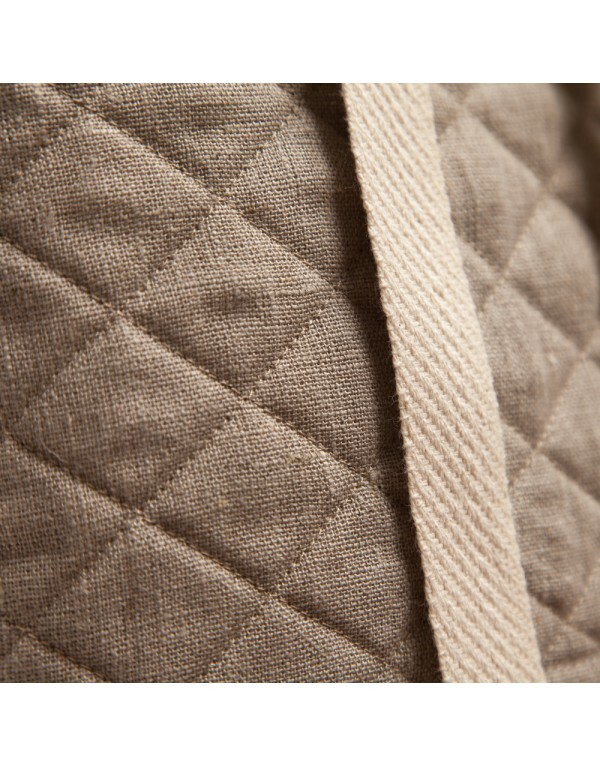 Care: Hand wash reserving leather handles.